Learn How to Get Media Outlets to Cover Your Business! Exclusive Download for Grow The Dream Show Listeners! 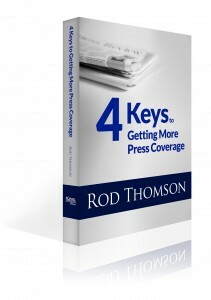 Award-winning journalist of more than 25 years, Rod Thomson, shares media-insider expertise on how to get your business covered in the media! Simply Put Your Name & Email Address in the Boxes Below to Get Your Copy!